Dorsets coastline is the perfect place to enjoy sea kayaking and kayak fishing, exploring the beautiful cliffs along the Jurassic coast from our base on middle beach in studland out to Old Harry Rocks offers such an interesting and unique perspective that you can only really get from the hull of a sea kayak. 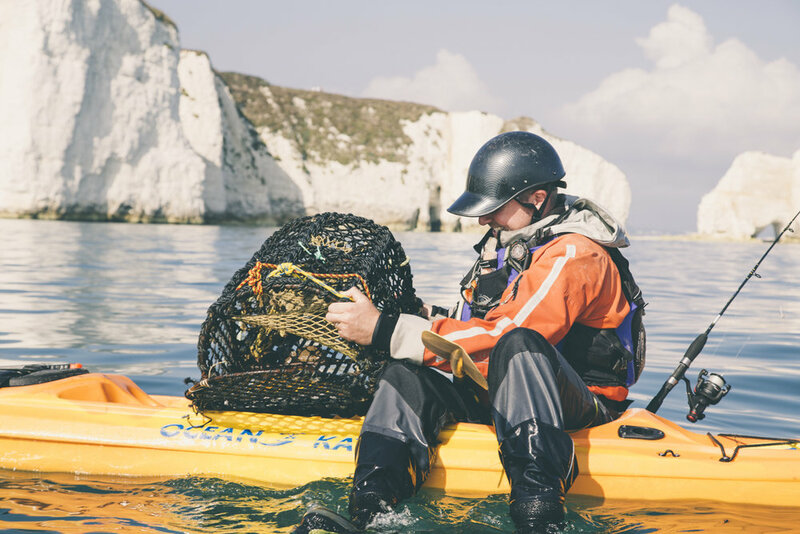 Wetsuits on and helmets donned, Kayak, Fish, Forage and Feast is an adventure and a half that over a day conquers the sea, shore and stomach in one. After a how-to in rigging fishing lines under the belt we'll head onto our kayaks and hit the water. Spreading the ashes of our feast and ensuring we leave no trace we'll head back to the Hutquarters with satisfied bellies and smiles only an encounter with an environment like ours can deliver. £120pp all equipment included. Head on over to our bookings page to book yourself on. Hop on over to our Kayak foraging page for more images and info. 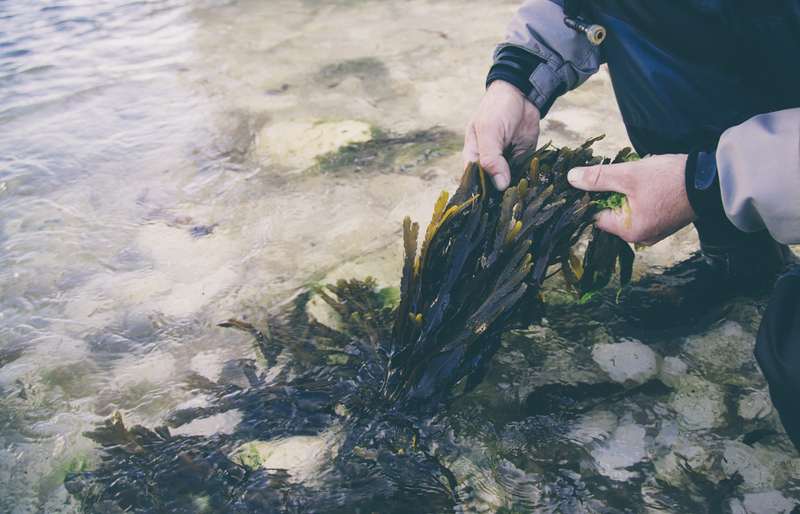 See our recent blog post here of one of this years kayak, fish, forage & feast events to get a flavour of what's in store. If these date don't work for you do get in touch to let us know a date to suit you and we will try our very best to accommodate you. grab your space before they go!